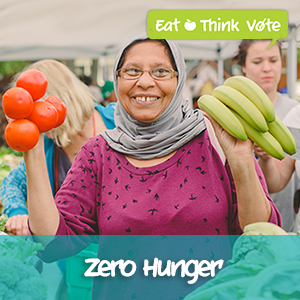 Food Secure Canada distributed a questionnaire to the five main political parties in September on the issues in our Eat Think Vote campaign. The Liberals, NDP, Bloc and Green Party responded to our questionnaire, the Conservatives did not. Some additional information was extracted from their political platforms. 4 parties - Liberals, Greens, NDP and Bloc - agree on the need to support the next generation of farmers. We need to fix our food system with fresh thinking and innovative, cross-cutting national policies across agriculture, environment, economics and health in order to create healthy, sustainable food system that feeds us all. 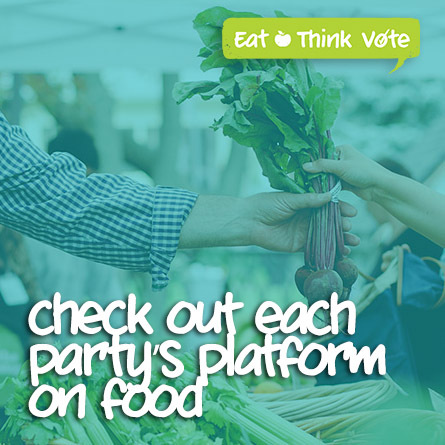 Question 1: Is your party in favour of a national food policy that would take a comprehensive approach (looking at the entire food system) to address the interrelated issues of hunger, unsustainable food production, climate change and unhealthy diets? Oui – En principe, le Bloc Québécois est favorable à une politique alimentaire englobant tous ces points. Par contre, le gouvernement du Québec a déjà ses propres politiques en matière de production alimentaire et de changements climatiques et nous nous opposons à toute politique fédérale entravant celles du Québec. A Liberal government is committed to addressing food security in Canada. We support developing and funding a national strategy to reduce food insecurity in Canada. Yes, the NDP has a comprehensive food strategy that connects Canadians from farm to fork. In cooperation with the provinces and territories, our food strategy will bring an integrated approach to federal policy to connect agriculture, rural development, environment, health and income security. We will improve access to healthy food for every Canadian, ensure sustainable agricultural communities and resources, and promote Canadian food here at home and around the world. Canada needs an innovative, forward-thinking food strategy -- one that promotes food security, food safety and healthy food….. The Green Party believes strong national leadership is required to promote agricultural sustainability, energy efficiency and support farm families. This means encouraging the localization and diversification needed to stabilize the food economy without expensive government subsidies. It means thinking local, building soil capacity, encouraging economic diversity, reducing farm debt and increasing the number of young farmers. It means stronger food safety regulations, and an end to pesticide contamination in our food and water. There will be no food security if we do not combat climate change. 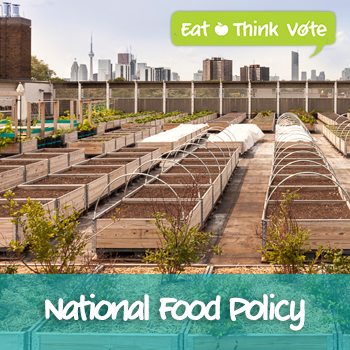 Question 2: If your party forms government, how does it propose to develop a comprehensive national food policy? What role would civil society organizations have in developing the government’s vision and policy? - Développer un secteur bioalimentaire prospère, rémunérateur, générateur d’emplois, respectueux de l’environnement et contribuant à l’occupation dynamique du territoire québécois. Liberals understand the fundamental role that the not-for-profit sector and civil society play in both policy development and program delivery. A Liberal government will work in partnership with organizations such as yours to explore more effective solutions to the most pressing challenges facing Canada and Canadians and use your valuable and hands on experience and expertise to determine the best solutions for the good of Canadians. Further, we will ensure that civil society organizations have access to the information you need in order to better advocate the government and other organizations on the needs of Canadians. The NDP’s comprehensive food strategy was developed based on extensive consultations that included local food policy councils, farmers, dieticians, food security organizations, Indigenous organizations, and other civil society stakeholders. We will work with these same stakeholders, in addition to provinces and territories, municipalities and Indigenous communities, in implementing our vision from coast to coast to coast. 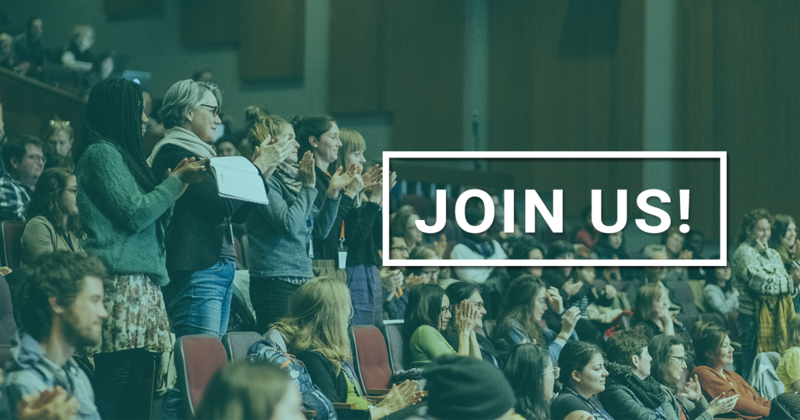 The Green Party will create a Council of Canadian Governments, with representation from federal, provincial, territorial, municipal and Indigenous governments, to consult with civil society and stakeholders to develop solutions to shared national goals, including a national food policy. In the 41st Parliament, Green MPs made it a priority to consult extensively with affected stakeholder groups throughout the legislative process, and we will continue to draw on the expertise of civil society organizations in developing national policy. Four million Canadians are food insecure, including 1.5 million children. Food insecurity takes a substantial toll on physical and mental health, engendering significant costs to the health care system. While the causes and experiences of food insecurity are complex, the overwhelming factor is poverty, and policy solutions must therefore address income levels. Canadians living in food insecurity need a basic income floor to ensure they can afford sufficient, safe, healthy and culturally appropriate food. Question 3: If your party forms government, will you commit to studying the feasibility of a basic income, or a guaranteed annual income as an option for dealing with food insecurity? Oui – Nous sommes favorables à une étude à ce sujet étant donné que plusieurs paliers de gouvernements doivent coopérer afin de trouver un moyen de mettre en place un tel système. To better address pressing issues such as these, Liberal’s will rebuild the federal government’s capacity to deliver on evidence-based decision-making. We will devote a fixed percentage of program funds to experimenting with new approaches to existing problems, instilling a culture of measuring results, innovation, and continuous improvement in how government serves the needs of Canadians. afford a healthy meal. We will implement a whole-of-government approach to food security, reducing reliance on food banks by improving incomes and supports for Canadians, allowing healthy food to be in the reach of every family. This includes our plan to reinstate the federal minimum wage and progressively raise it to $15 an hour and our plan to raise the poorest families out of poverty through increases to the National Child Benefit Supplement and the Working Income Tax Benefit. New Democrats are committed to developing and implementing an anti-poverty strategy, and will review all options to ensure we are on track to lift every Canadian out of poverty. We will introduce a Guaranteed Livable Income (GLI), to ensure that no person’s income falls below what is necessary for health, life and dignity. Question 4: If your party forms government, what other strategies will it pursue to remove the financial obstacles to food security (for example, developing a national housing strategy? C’est pourquoi le Bloc Québécois travaillera au maintien des subventions actuelles destinées aux conventions (environ 1,7 milliards $), tout en bonifiant de 400 millions de dollars dès maintenant le budget alloué à la construction, la rénovation et la transformation de logement social et abordable. Le Bloc exigera aussi un réinvestissement progressif jusqu’à l’atteinte de 1% des revenus annuels du fédéral. We will introduce the Canada Child Benefit—which gives up to $533 tax-free each month per child. As an income-tested benefit, the Canada Child Benefit gradually phases out to ensure that it is targeted to the middle class and those working hard to join it. A Liberal government will invest in a National Housing Strategy that makes direct investments in affordable housing, provides tax incentives to expand affordable rental housing, improves data collection, reviews policies on housing in high-priced markets, and offers more flexibility for new home buyers. We will restore the eligibility age for Old Age Security and the Guaranteed Income Supplement to 65, putting an average of $13,000 annually into the pockets of the lowest income Canadians as they become seniors. We will also immediately increase the Guaranteed Income Supplement for single, lower income seniors by ten percent, providing up to an additional $920 per year for Canada’s lowest income seniors. A Liberal government will immediately re-engage with First Nations in a renewed, respectful and inclusive Nation-to-Nation process to advance progress on priorities identified by First Nations, including housing, infrastructure, health and mental health care, community safety and policing, child welfare, high levels of poverty and a disproportionate lack of educational and economic opportunities for Indigenous people in Canada. We will make sure the Kelowna Accord –and the spirit of reconciliation that drove it –is embraced, and that its objectives are met in line with today’s challenges. territories, municipalities, indigenous governments, housing providers, and civil society organizations to create a multi-year strategy to address housing and homelessness. Our Affordable Housing Strategy will be supported by investments of more than $2.7 billion over 4 years in affordable housing and homelessness programs. Childcare is one of the biggest expenses for families, in some reaching as high as $2,000 a month. We will also create a national affordable childcare program that creates or maintains one million childcare spaces at a cost to parents of $15 a day or less. The Green Party will implement a National Housing Strategy based on Housing First principles. Housing First is a proven, recovery­- oriented approach that centres on quickly moving people experiencing homelessness into independent, permanent housing, and then providing additional supports and services as needed. This strategy will guarantee dignity and support for Canadians at the margins of our society, and will help address homelessness while at the same time reducing the burden on our emergency and health services. Our Housing Strategy will address the continuum of needs – from social housing for those in poverty or dealing with mental health and addiction problems, to First Nations, Metis, and Inuit housing crisis, to the market failures depriving those with even a decent income access to the affordable housing they need. We can ensure that all housing needs are met – whether seniors, Indigenous, youth, or middle class. Providing our most at-­risk citizens with the resources they need to make ends meet greatly reduces the burden on our emergency and social services, our health care and criminal justice systems – saving Canadian society money and empowering all citizens to overcome periods of hardship. As an immediate first step, the Green Party will implement a federal minimum wage of $15 an hour. By providing a cheque to every Canadian over 18, the carbon fee and dividend system will also assist in providing help to those who need it most. Indigenous communities in Northern Canada are experiencing a food security crisis with serious implications for health and well-being. Urgent action is required in the face of this unprecedented public health issue. Food insecurity in the North is a multifaceted problem. Northerners rely on a mix of traditional (wild) and market food, and both harvesting and food shipping costs are extremely high. The solutions must come from the communities themselves and the federal program designed to lower food prices in the North, Nutrition North Canada, needs a complete overhaul to be effective. Question 5: Is your party in favour of using a food sovereignty approach to address food insecurity in the North including? Oui – Nous demandons une réévaluation du programme Nutrition Nord Canada. the importance of healthy and culturally appropriate foods. Yes. The Green Party is committed to food sovereignty, to ensure that food policies are developed closely with affected communities, with their needs at the forefront. All Canadians, regardless of where they live, deserve the right to choose healthy, affordable, and culturally appropriate foods. We will work to ensure the food needs of Northern communities are met. Question 6: Developing national food policy that includes the northern context, and the recognition of the right to food for Indigenous Peoples in Canada. Liberals know access to sufficient, safe, healthy, adequate food is a fundamental human right and are committed to ensuring all Canadians have access to healthy, affordable food. We will work with communities to restructure relevant federal programs so that they recognize the importance of traditional foods, focusing on community-based solutions rather than a one-size-fits-all program. An NDP government will also support agricultural innovation projects that help northern communities to grow their own food in ecologically sustainable ways. The Green Party will develop a national food policy that fits the northern context, including the right to food for Indigenous Peoples in Canada. The Green Party is committed to improving food insecurity rates in Canada, and recognizes the unique needs and challenges of Indigenous and Northern communities. Question 7: Providing sustainable funding for Community Food Coordinators in all northern communities, as a mechanism to both act at the local level and inform policy. Oui en collaboration avec les autorités en place dans les communautés nordiques. A Liberal government will work in partnership with impacted communities to address the food insecurity crisis in the North and remote communities in Canada. 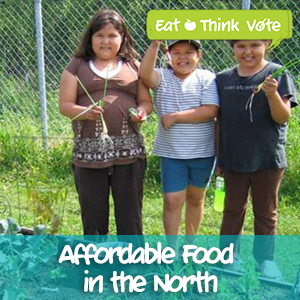 The Nutrition North Canada (NNC) food subsidy must be expanded to include the other communities that require it. This long-standing and shocking lack of accountability and oversight must be fixed so that savings are being passed on to Northerners. New Democrats will work to make life more affordable for Northerners by ensuring the Northern Residents Tax Deduction keeps pace with the needs of Northern residents and with inflation. The Green Party will provide adequate and sustainable funding for Community Food Coordinators in all northern communities. As noted above, a Liberal government will also experiment with new approaches to existing problems and we will stop funding initiatives that are no longer effective and invest program dollars in those that are of good value. Liberals know that only through regular program assessments based on evidence and facts can the federal government ensure that its programs and policies are actively helping Canadians who need it most. The Green Party’s GLI will also be set regionally, to ensure that disparities in income, food and housing prices are accounted for. Question 9: If your party forms government, what are your proposals to overhaul Nutrition North Canada to ensure it fulfills its mandate to improve access to perishable nutritious food for northern communities? de leur panier d’épicerie augmenter de façon drastique et vivent présentement une véritable crise alimentaire. C’est pourquoi le Bloc Québécois travaillera afin de redonner une voix aux premiers touchés par cette crise : les communautés. Il est plus que temps d’évaluer, comme le demandait l’administration locale de Kativik, de réévaluer les impacts du programme sur la situation socioéconomique de sa population et travailler de concert avec les administrations locales pour s’assurer que les communautés du Nord ont accès à une alimentation saine. An NDP government will fix Nutrition North by immediately including the 50 fly-in communities that are not currently eligible. We will also initiate a comprehensive review of the program with Northerners as full partners to develop a long-term, sustainable solution. Greens will ensure that Northern communities have the funding and support staff they need to access healthy, affordable food. The Green Party will work to implement the Auditor General’s recommendations to ensure the benefits of the program accrue to communities, including: Ensuring community eligibility criteria is based on need; Determining whether retailers are passing on the full subsidy to consumers; Tightening up compliance reviews and monitoring the implementation of subsequent recommendations; Improving monitoring to ensure program is meeting its objectives. Canada remains one of the few industrialized countries without a national school food program. Diet-related diseases are on the rise, posing an increasing burden on our healthcare system, consuming 58% of the current healthcare budget in Canada. We have a responsibility to support the future health of our children by helping them to develop healthy eating habits that will last a lifetime. Only policy coming from the federal government can ensure that a healthy school food program reaches all Canadian school kids. Question 8: Is your party supportive of establishing an Universal Healthy School Food Program, cost-shared with other levels of government, that will enable all students in Canada to have access to healthy meals at school every day? Le Bloc Québécois est d’avis qu’une stratégie pancanadienne pour nourrir les enfants constituerait donc une intrusion dans les champs de compétences du Québec (par exemple, le déjeuner dans les écoles) en créant un dédoublement de programmes coûteux au détriment du bien-être des enfants. We will work with the provinces and territories to ensure that healthy food is accessible for critical groups like school-age children. The Green Party will also establish a federally funded, community-­guided school lunch program across Canada to make sure that our children have daily access to healthy local food, and are able to focus fully on their education. The Coalition for Healthy School Food calculates that an investment of $1 billion dollars over the next five years will be required to implement this program. Question 10: If your party forms government, how does it propose to implement a Universal Healthy School Food Program? Si un tel projet de loi était mis de l’avant, il serait primordial qu’il prévoit dès son dépôt, un droit de retrait sans condition et avec pleine compensation pour le Québec. We have also committed to banning food and beverage advertising to children, a step which was found to effectively reduce unhealthy food consumption by as much as 13 per cent each week in Quebec.In addition, a New Democrat government will promote food literacy for better health, and update Canada’s food guide and ensure that it is developed by independent experts. We will work with the provinces and territories to ensure that, by age 16, each Canadian child can plan and prepare at least six nutritious meals. 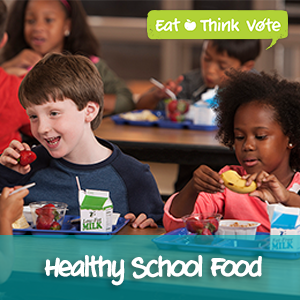 The Greens supports the Coalition for Healthy School Food’s proposal for a $1 billion investment, phased in over five years, to create a Universal Healthy School Food Program. We will work with municipal, provincial, and Indigenous representatives through the Council of Canadian Governments to implement this program. Agriculture in Canada is facing a succession crisis. More than half of the Canadian farming population is over 55 and 80% are looking to retire in the next 10 years. Three quarters of them have no one to take over the farm. Meanwhile, a new generation of farmers, including those enthusiastically pursuing sustainable and organic methods for local markets, need support. The future food supply in Canada depends in good part on public policy that understands the need for more new farmers. Question 11: Does your party agree that that more federal supports are needed for new farmers who face significant barriers in accessing capital, land and training? Le Bloc Québécois s’engage à travailler étroitement avec le monde agricole en vue de développer d’autres mesures susceptibles de compléter ces propositions déjà mises de l’avant. We recognize the need to motivate and train more young Canadians for careers in agriculture. In today’s changing economy, it is critical that Canadians have the opportunity to improve their skills and work credentials. This not only ensures a labour force that meets Canada’s needs, but also that Canadians have good-paying, middle class jobs well into the future. A Liberal government will improve investment in skills training, through a $750 million annual increase in funding for training programs, delivered in partnership with the provinces and territories. The NDP will work with farmers to ease barriers for new and young farmers, helping them to gain access to the capital and land they need. More details will be available in our platform. Markets for local and organic food are growing rapidly, and a new generation of young Canadians want to try their hand at farming, yet starting out remains a daunting prospect, requiring financial risk that many young would-be farmers are unwilling to take. We believe that Canadians who want to enter into agriculture should be supported. Question 12: If your party forms government, what strategies will it pursue to support and encourage a new generation of farmers? Farmers are concerned about the under-funding of federal-provincial "business risk management" tools, as well as program design changes which make them less accessible and less useful. A new Liberal government will work with producers and provincial governments to assess whether the current suite of farm income safety nets is adequately meeting the needs of Canadian farmers when they are faced with serious challenges beyond their control.Un examen externe complet de la Loi sur les transports au Canada est en cours, et un rapport doit être déposé à la fin de l’année. C’est l’occasion ou jamais d’améliorer le système de manutention et de transport, actuellement dysfonctionnel. Dès que le rapport d'examen sera publié, il faudra obtenir les réactions et demander les conseils des producteurs céréaliers dans les plus brefs délais. Un gouvernement libéral dirigé par Justin Trudeau visera à mettre en place un système efficace et prospectif qui est à la fois compétitif, transparent, responsable et axé sur la croissance. Étant donné que les producteurs finissent toujours par assumer tous les coûts, leurs intérêts devront être dûment représentés aux fins de la conception et du fonctionnement du système. We will fund community supported agriculture, farmers’ markets, small-scale farms and producers, and the wineries and microbreweries that Canadians love. Finally, we will shift government-supported research away from biotechnology and energy-intensive farming and towards organic and sustainable food production. We have the successful twenty-plus year legacy of Environmental Farm Plan assessments to build upon in which tens of thousands of family farms voluntarily adopted more efficient farming practices. 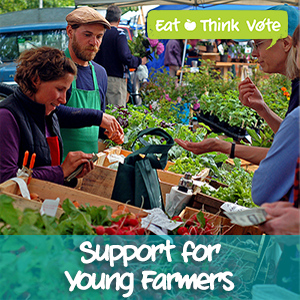 Eat Think Vote is a national campaign to bring voices for change about the food system together. We are calling for a bold new national food policy based on the goals of zero hunger, healthy and safe food, and a more sustainable food system.